Welcome to the simple sophistication of Hotel Anniska. This charming hotel can boast the very best views across the Messinian Bay on the most unspoilt coastline of the Peloponnese. 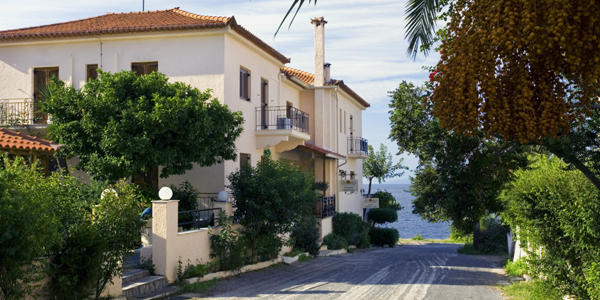 Located in Kardamili, a Greek village famous for its stunning beauty, Anniska is lauded for its relaxed charm. The hotel is family-run and the Paliatseas family provide an attentive yet unobtrusive hospitality that will make your stay pleasurable and relaxing. With its enchanting façade and prestigious seafront views, Anniska has been welcoming discerning guests for more than 20 years. It offers a generous selection of comfortable, fully-furnished self-catering apartments and studio flats renowned for their homely ambience and breathtaking sea and mountain views.